Great cover, great title, great author, great story! What a premise. That title says it all, and I could NOT resist making this one my next read. I really enjoyed this sweet contemporary romance novel, because while it wasn’t one of the crazier-rides we love to embark on (nothing too gasp-worthy, or angsty) it gave us what we’ve come to love in our “new adult” love stories! ✔ A forced-roommates story between two ex-childhood friends, that are so far from it now, as adults. ✔ The author doesn’t hold back when it comes to him! “Mr. Jerky McMeanerson” and his rude attitude! And not in the crude bad-boy way, either. I mean full-on hurtful! So cringeworthy at times, he was making my eyes bug out, and I was thinking, seriously? WOW. UGH. Yet I was secretly thinking… YAY!!! Because I was hoping this meant that the “getting there” (as in falling for each other was going to be hard, but so worth it). ✔ Plus it had that delightful love triangle as she was secretly pining for him (while HE was being so mean to her) AND HE brought his pretty, Broadway star of a girlfriend to stay with them. ✔ that delightful “super-sick” scene where the other one takes care of them… oh I LOVE WHEN THAT HAPPENS!! You just KNOW that will be the turning point! ✔ And well… he’s a hot up and coming musician, and you know how we love our rock stars (and the insecurities they introduce). So yes… a more “traditional contemporary romance”, but with all of the touches that make a book ours. Cheryl: I finished Roomhate and loved it. I could use Amy’s nail analogy too because I kept waiting for the “hammer” to drop. I just couldn’t put it down today. I enjoyed the banter between Justin and Amelia, especially early on when Justin was so angry. It did surprise me a couple times with events I didn’t see coming. My gut wasn’t in knots from angst, more the tension of wondering what was going to happen next and just how this was going to end. Tessa: Finished Roomhate and one word, super sweet. I have to admit, I didn’t feel angsty throughout the book, just happy. However, I’m still smiling over it. Lisa M: RoomHate by Penelope Douglas!!! Wow!!! Talk about angst,anger & love!! Yup it was one of those days work read work read & sneak a lil more reading !! Good thing I work from home or I’d be fired!! Good thing my boss is my hubby or I’d be fired!! Shhh!! I was productive today!! …I would highly recommend!! 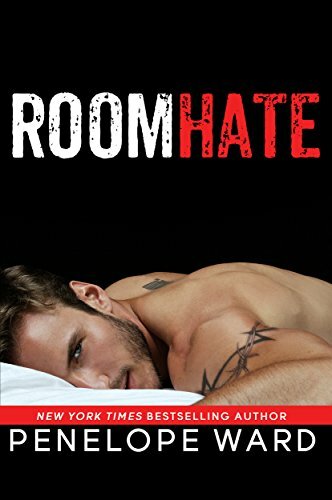 Ela: I finished Roomhate and really enjoyed it. Jean: Finished Roomhate and even though I flew through it, couldn’t put it down, and did love the whole storyline, I didn’t feel a big connection to the characters for some reason. Still definitely worth the read! … and she deserted him. Justin never got over it, and even though she’s tried to reconnect through her older years, he had refused her at every turn. That is… until they are forced together when they both inherit a beautiful beach house that once belonged to someone they both loved dearly. But I digress… either way, there is no way the other is selling their half, and now it’s time to finally confront one another. And oh boy, what a confrontation. I cringed!! And so did his girlfriend. Well no, the whole thing was fun, and in fact, my only complaint is that, considering that title, I would have loved for the hate part of their love-hate relationship to have lasted longer… to have made her (and therefore us) agonize harder. To have made the slow change from hate, to resistance, to undeniable need for the other, that much sweeter. That much more intense. Still, even though the jerkish part didn’t last as long as I expected (well you know what? I take that back! Going over my favorite quotes, even when he’s not a jerk, he still kind of is. LOL!!! Throughout! Typical “guy-guy” with no filter, ya know? You’ll see!). Tee hee! See? There’s a TON of that in here. LOL!!!! Yeah… I loved him. And, anyway, the author did hit us with a few angsty curveballs as the story progressed, turning this one into a meaningful journey for two people that thought they had it all figured out. And the best, most hilarious and sweetest part that had me solidly connected? A bumblebee! It’s an endearing read, with realistic, fleshed-out characters that stay true to their personalities, and are wholeheartedly believable. Plus, you can’t go wrong with that touching epilogue that will steal your heart! Jean: The more I’m thinking about Roomhate, it is making me smile like crazy! The end and the Epilogue….perfection! And for anyone interested, the entire book is her POV….epilogue his POV. Yes! Yes, exactly that. I loved it and it was so sweet, but I wish the hate had lasted longer. 🙂 I love the gut-twisting feeling. I am usually a lurker here, but I wanted to finally comment on this. Thanks for all the great reviews and recs. You and I have the same taste in books. I just got this one based on this review and I am looking forward to reading this asap. I have all Penelope Ward’s books, but have only read Stepbrother Dearest so far. I am currently reading Big Rock by Lauren Blakely, but will read this as soon as I am done. I only like Jerky guys in books, if they thoroughly make up for it by the end. Is it bad that we wanted more hate?!? Lol! Great review Maryse! I will definitely let you know how i liked it. Thanks. Great review Maryse. I did love this book, but I agree it could have had angst or more “hate him” moments. I really fell hard when he fell for a certain bumblebee!